When a death occurs at home or in the workplace, you'll need to contact emergency personnel or your loved one's physician if he or she was under medical care. If no one else was present when the death occurred, you'll also need to notify the police before the deceased is moved to our funeral home. When a death occurs while your loved one is in a hospital, care facility or hospice program, the professional staff will notify you and contact the appropriate authorities. If you've already given them the name of our funeral home, the facility will contact us right away. The next steps involve registration of the death, and the processes and documentation involved depend upon the circumstances. Johnson Family Funeral Home will help to guide you through obtaining a medical certificate and the appropriate registration procedures. After you've taken care of the initial necessary arrangements, you'll want to notify friends and relatives of the death. If it is too painful for you to do this yourself, it's absolutely okay for a trusted friend to make the call in your place. 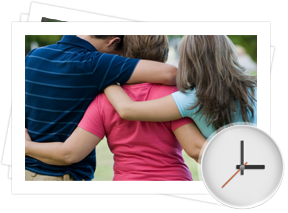 Now is the time to review any prearranged wishes or plans your loved one may have put in place, and meet with the professionals at Johnson Family Funeral Home to discuss your options and begin designing a funeral. You'll also write a death notice or obituary to notify those in the community of your loved one's passing. 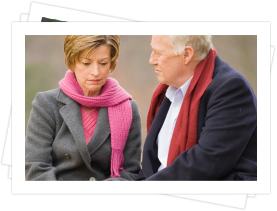 Your initial call to Johnson Family Funeral Home will allow us to inquire about any prearrangements and gather the information we need to transport your loved one to our funeral home, but you can also feel free to ask any questions you may have and resolve any of your initial concerns. At later meetings you'll be able to discuss your arrangements in greater detail, but we're always available in your time of need to provide emotional support, a sympathetic ear, and careful guidance.